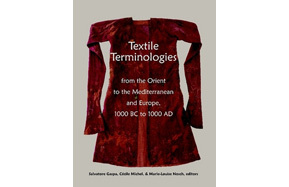 The volume "Textile Terminologies from the Orient to the Mediterranean and Europe, 1000 BC to 1000 AD", edited by Salvatore Gaspa (University of Copenhagen/Università di Padova), Cécile Michel (Centre National de la Recherche Scientifique, Nanterre) and Marie-Louise Nosch (University of Copenhagen) and published by Zea Books (Lincoln, Nebraska 2017, ISBN 978-1-60962-112-4), aims at illustrating current trends in research on ancient textiles. The book is the major result of current international and interdisciplinary research framed in the research programmes "Ancient Textiles from the Orient to the Mediterranean 2015-2018" (C. Michel), "Marie-Curie Intra-European Fellowship Programme 2013-2015" of the European Commission (S. Gaspa) and "Textile Economies of the Mediterranean Area" (M.L. Nosch). 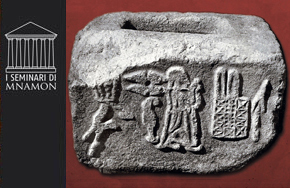 It includes contributions from archaeologists, historians, linguists and museum curators from different disciplinary sectors. The main objective of this anthology is to provide scholars with an up-to-date tool for the understanding of textile terminology of various languages of the ancient world, from those of the Semitic group (Akkadian, Hebrew, Aramaic) to those of the Indoeuropean group (Greek, Latin, Sabellic, Old German, Armenian). The evidence of textile terms in Chinese and Japanese is also discussed in this book. The National Workshop on Oriental Studies «Egitto e Vicino Oriente antichi: tra passato e futuro», will take place in Pisa, Polo Carmignani, room 2, from June 5th to 6th 2016. Program and subscription information can be found here; abstracts can be downloaded here. An archeological expedition from the University of Jerusalem announced the discovery of a new cave (the 12th?) 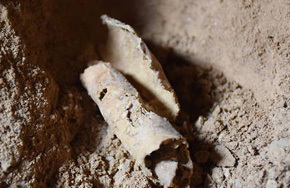 containing scrolls at Qumran. Broken jars holding parchments - already looted in the 50s or 60s - were found in the cave. Only one scroll fragment was discovered. 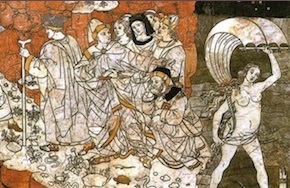 It cannot be excluded a priori that a number of scrolls that have ended up in the antiques market and have already been published, originated from this cave.